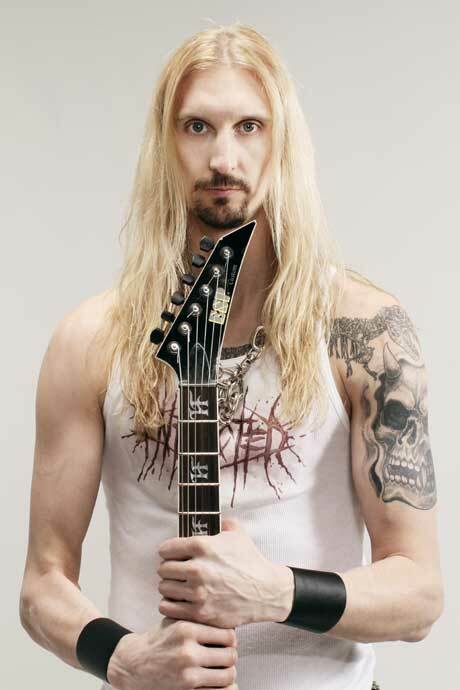 Oscar Dronjak - guitarist and founder of Swedish heavy metal band HammerFall. In a time when heavy metal was a strictly derogative term, Oscar took no heed of such nonsense. Instead, he formed HammerFall and built the band on the pillars of the music he loved. Now, some 20 years later, the has toured the world many times over, sold in excess of 2 million albums, conquered Fort Boyard and much, much more. His simple but effective playing and song writing style can be traced back to bands like Accept, Judas Priest, Mercyful Fate, Twisted Sister and Manowar. Watch him break down guitar parts from his favourites songs in Oscar Dronjak’s School of Hard Riffs, as well as going through classic HammerFall tunes in their entirety. We are very excited to have lessons with Oscar Dronjak here at playalongmusic.com!